As January moves on, the world of boxing moves on and we start to get the snippets of news that may shape the whole year. 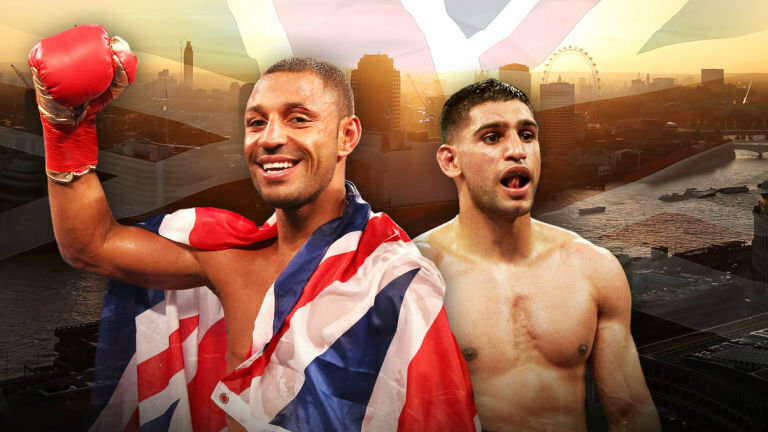 Khan’s back with Matchroom and is eyeing an Adrian Broner bout, although would any of us bet against Khan/Brook? A tasty prospect to be sure and with Matchroom behind the winner and loser no reason we couldn’t have a few or see the new journey for the loser. Khan may not be everyone’s cup of tea but he’s still a fantastic boxer and with Mayweather gone, hopefully he can concentrate and cement his own legacy as he definitely deserves one and he has always delivered excitement. Brooke is coming to the end I feel, 2 massive injuries and whilst his career may not have been as great as he wanted he’s shown skill, heart and balls of steel silencing a lot of critics on the way. I’d rather see him bow out now fully intact than suffer a major injury. Joshua vs Parker’s announcement is imminent (although knowing me it will probably have been announced before I release this) and whilst it’s not the Wilder fight we’d prefer it’s still another good bout for the giant Englishman and will move him closer to a point where Wilder will have to step forward or admit he’s going to continue to avoid the big man. Scott Quigg is back on the title trail although there’s a split as to whether he has what it takes, I’m happy to see him back and hopefully there’ll be a set up to Quigg/Frampton 2 at some point so we can see the fireworks we wanted in the first one. It also looks like we’re getting the fight that everybody wanted (well at least that’s what I’ve been told, I’m not fussed to be fair.) as Selby against Warrington will finally happen, honestly can’t see anything other than a Selby win in this one as can see him piling through Warringtons best punches and stopping him late fight as the Leeds man tires. Still waiting for some major domestic dust ups to be announced (other than Kierans Little Big Men show in Preston) and am hoping that Warren and Hearn will offer more 50/50 fights for their prospects this year (although I want that every year). After reading Journeymen I’m still desperate for a prizefighter to be held for them and if Mr Warren or Mr Hearn hear about this (gotta aim for the top). It would be a great platform for the less knowledgable amongst us to learn about these fantastic fighters and would show some of the punters they’re more than worthy of holding their own against the youngsters climbing the ladder. (I know I’m contradicting myself there but who really expects boxing to change it’s whole structure and start giving us 50/50 at every level). Other than that, keep your eyes peeled for my previews of the Little Big Men Show (16th Feb) and I’m hoping to get another series focusing on certain boxers off the ground, my mojo is back at the moment so lets make the most of it.